Want to make a Minecraft Valentine’s Day card but you haven’t got enough time left? 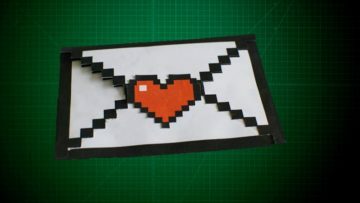 Here is a video about how to make a lovely and simple pop up heart Minecraft card by Solopress. Want to do the cutest card you could think of for someone special? 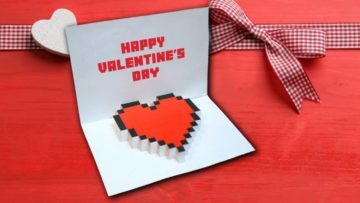 Here is a step-by-step guide on how to make an easy and cute Minecraft Valentine’s Day card. The template and idea are made by Glittermint and the original post here. 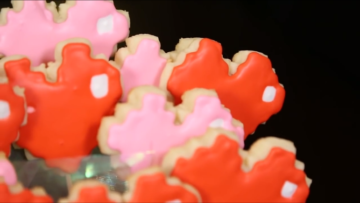 So Valentine’s day is coming in about two weeks and I was searching for a good video and found this amazing video by iHasCupquake about how to make this cool 8-Bit heart cookies bouquet.